Djuma Soundsystem, Silicone Soul, Maetrik, Gel Abril & Andrea Oliva, Mihai Popoviciu and more. Part 7, the saga continues. 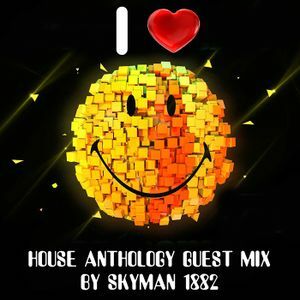 This time I present my good friend Skyman 1882 behind the decks. Crossing the globe to the far east for this set you can be assured they know how to spin a record on that part of the world. The set contains deep and tech house with a bit of a melodic techno flow. Thanks for listening again. Hope you all like it. Very good house selection, Skyman! Nice vibe. Sky Goes Deep!! very nice.., track from Buttrich is amazing..to bad that your set ended there man..the flow was super..do you have more parts of this set? Respect..
Lovely Deep Journey - nice work! really been enjoying listening to Skyman lately and this is up there with the best of his....top notch again! Skyman never disappoints. This totally jams! Does DJ Niggagod have great ears or what? Listen this whole set so technically tight and badass deep, but &apos;the change&apos; from Still Over to Sub Shaper flows perfectly--and took us up and deeper. Sunseeker was a gateway into another dimension. Will there be a part 2? Epic fellas--well done! Thanks mate on behalve of Sky. Thanks again brother, all credit to Sky. Thanks Paul, glad you enjoyed it.